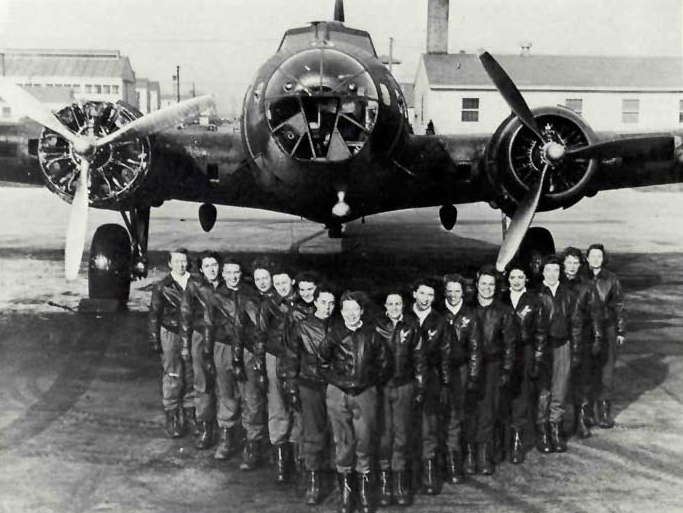 Since it’s Memorial Day weekend, I thought it would be fitting to write a post to honor the Women Airforce Service Pilots (WASPs) of WWII. If you don’t know who they are–I’m (sadly) not surprised. This group isn’t typically mentioned in history books or many WWII documentaries. Their images aren’t iconic (like Rosie) and their names aren’t well-known (yet). 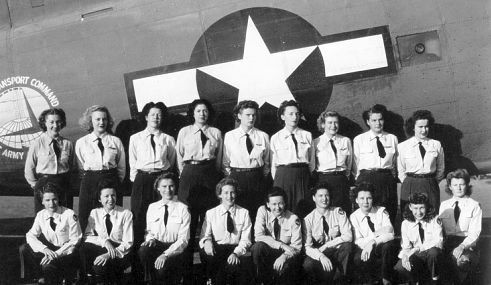 And, some argue, the outcome of WWII may have been quite different if it hadn’t been for this group of under-recognized women. However, there are some, like film-maker Jill Bond, who are determined to help tell the story and spread the word of their heroism. 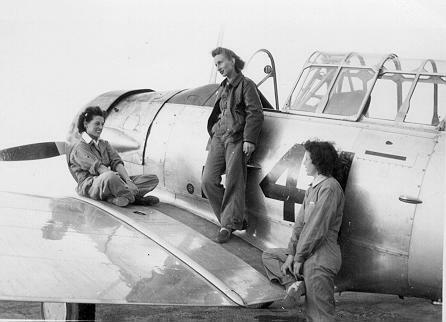 In 1941, two female pilots (Jacqueline Cochran & Nancy Harkness Love) sent inquiries to the U.S. Army Air Forces requesting that women be used for non-combat missions to pilot planes to bases throughout the United States. 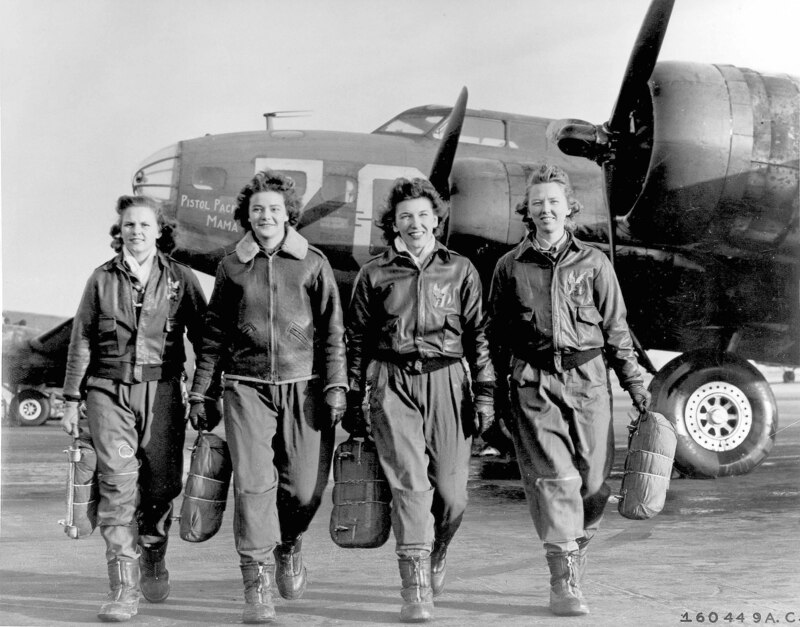 Their goal was to free male pilots for combat roles. The proposal was denied several times, but by the summer of 1942 (and after some major support from Mrs. Roosevelt), Cochran and Love’s idea was taken seriously. 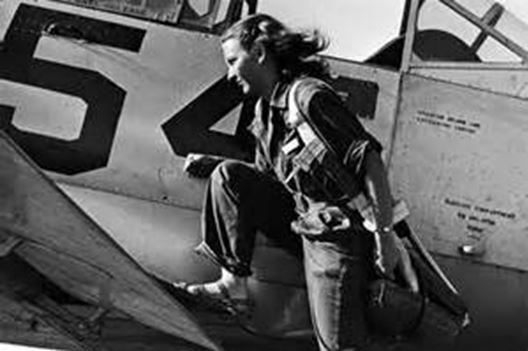 More than 25,000 women applied to be military pilots, but only about 1,100 were selected. 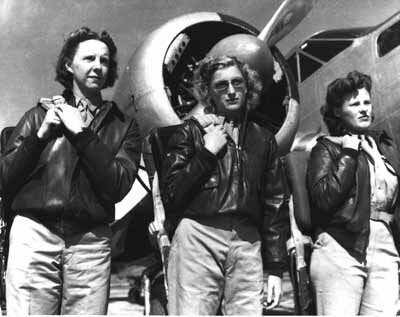 The women traveled to Sweetwater, Texas to train at Avenger Field for four months and earned their wings and became the first women to fly American military aircraft. 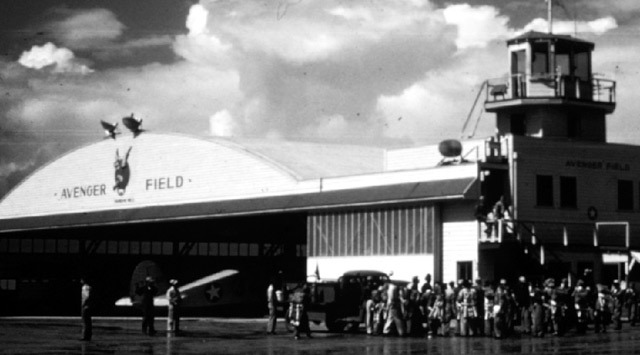 From Sweetwater, the WASPs were stationed at 120 different air bases across the country, logged over 60 million flight hours, and delivered over 12,000 aircraft of 78 different types from factories to bases. It would take 30 years for the women to be granted military status and almost 70 years for the women to earn the Congressional Gold Medal in 2010. That being said, there are less than 200 WASPs still surviving, so time is of the essence to show these women how grateful we are for their service. Back in the fall I read an article with my students about these incredible women. Ever since, I had this idea to recreate some of the images of the WASPs in order to honor their service. My mother works at the Lehigh Valley International Airport, so I ran my idea by her and asked if the airport would let me do a shoot there in one of the hangars. After a few calls and e-mails, it turned out that the Aluminum Overcast B-17 Bomber from WWII was scheduled to come through for a tour. Knowing that this was an incredible opportunity, I began planning. I knew immediately I wanted Alex from Alexandra Whitney Photography on board with my project. She brings such a fresh perspective to anything retro/vintage and her photos are always swoon-worthy. So, after a quick coffee-shop brainstorm session with her, the project was off the ground. I cannot wait to show you the images from our shoot and tell you all about the other vendors and details (so stay tuned), but for now I want to dedicate this post to the true WASPs. Their service and courageousness is nothing short of inspiring. If even one person remembers and cares enough to share their story with others, then my project will have been worth it. 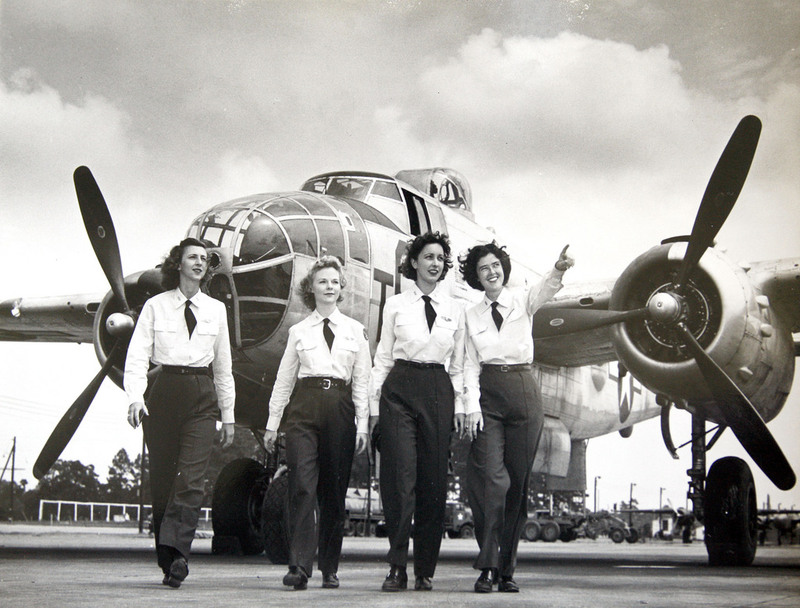 From the left, Dorothy Dodd Eppstein, Hellen Skjersaa Hansen, Doris Burmester Nathan and Elizabeth Chadwick Dressler, walk in front of a B-25 plane, as they were Air Force engineering test pilots for the B-25 during World War II. WASPS: Thank you for your service. Want to see more images? Check out this gallery. 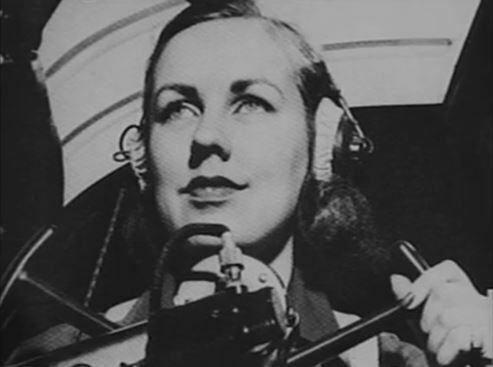 I’ve been trying to re-locate Pearl Judd, do you happen to know about here? I am not sure about her specifically, but one route to try would be the Facebook group called “W. 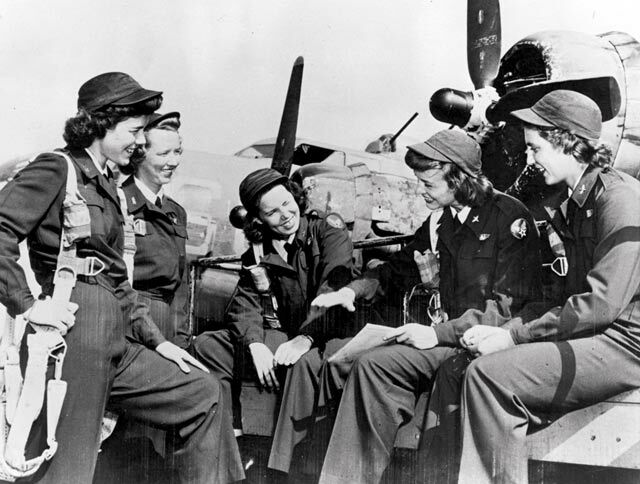 A. S. P. (Women Airforce Service Pilots).” It’s a private group but allow outside members. It was created by family members of the women, primary daughters. They might be able to help! I’m sure some of the WASP museums would help, too! Good luck! I love your work.